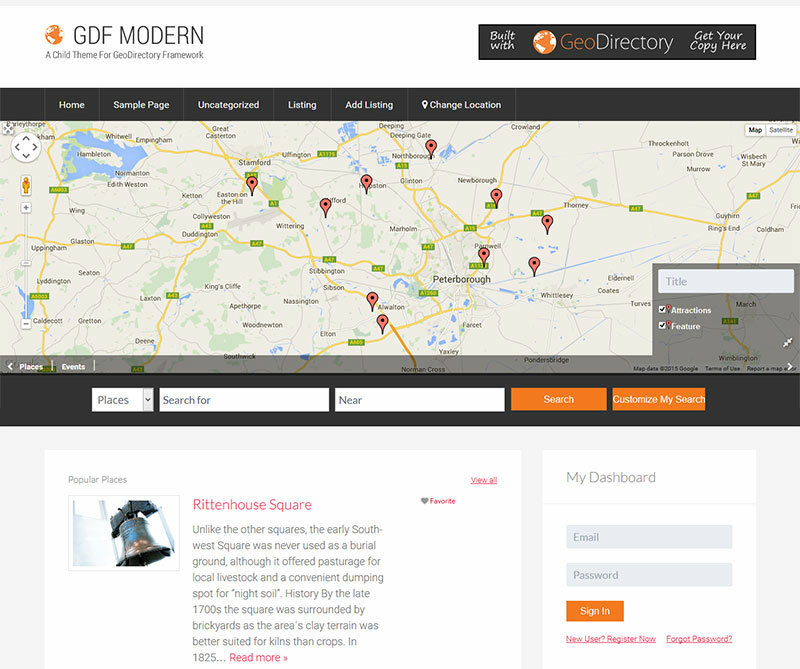 GDF Modern is a pre-made child theme for the GeoDirectory Theme Framework. It has a slick, modern design with clean type and plenty of white space. To use GDF Modern, you must have the GeoDirectory Theme Framework.